Nice curb appeal, excellent condition, finished lower level and awesome backyard. This National Homes built Beacon Hall model has it all. 9' ceilings on main. Glistening hardwood. Staircase with wrought iron spindles. California shutters. Big kitchen with lots of maple cabinets, granite countertops and backsplash. Stainless steel appliances. Island with extra counter space and bright eat-in area. Main floor den. 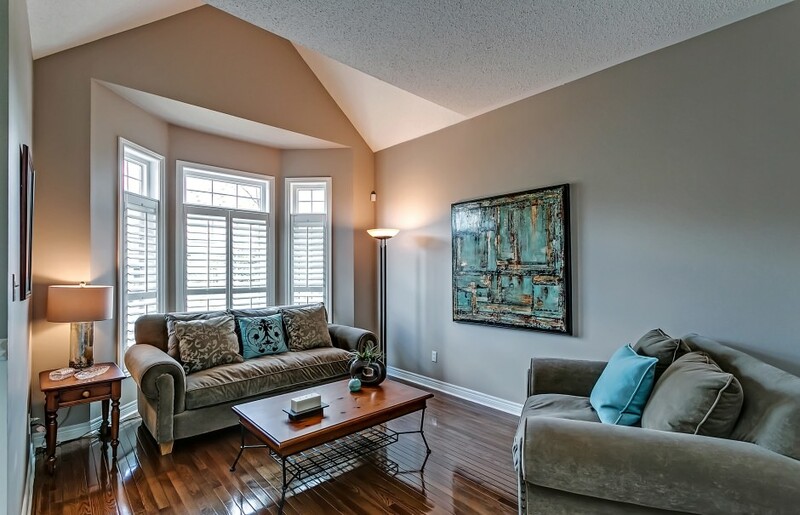 Large family room with 2 storey ceiling, 2 sided fireplace, huge windows, open to kitchen. Large bedrooms all with en suites or en suite access. 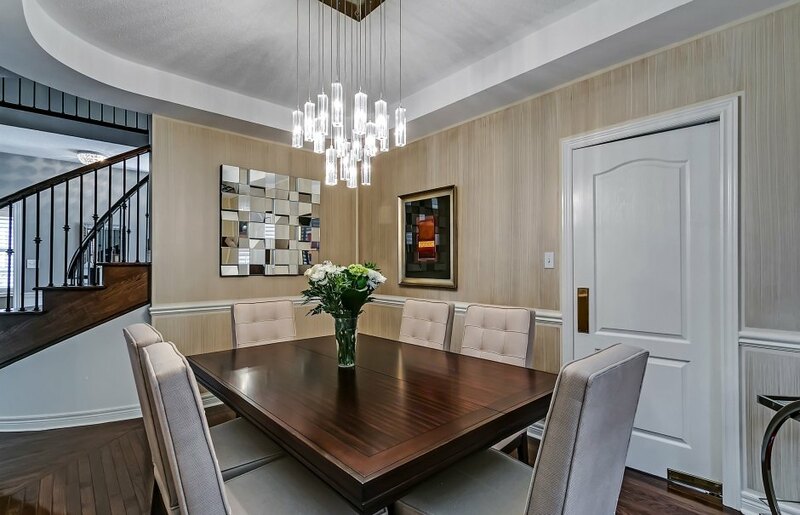 Superbly finished lower level. 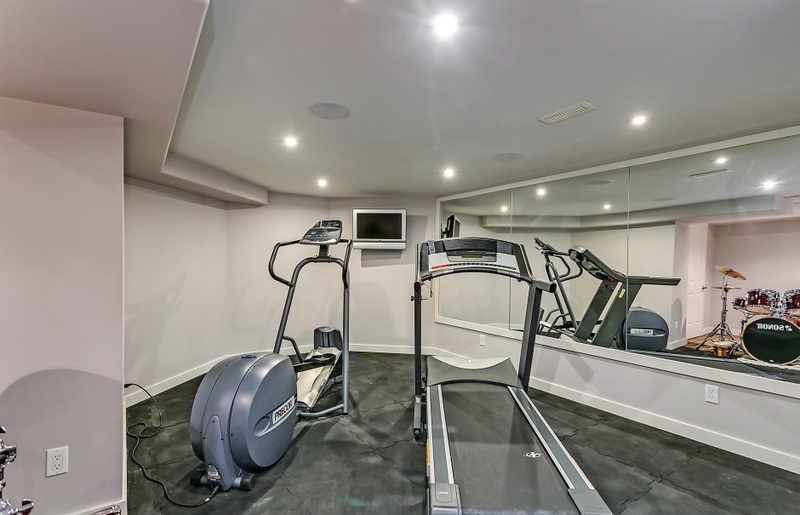 Great home gym with rubber flooring, large wall mirror, lots of pot lights and built-in TV. Theatre room/rec room with linear gas fireplace, wine fridge, built-in cabinets. Very cool space. Awesome backyard with extensive landscaping and pool with water feature by Ian McClelland. Nice privacy with well placed trees that are growing in. Beautiful patio with lots of room to lounge around. Great for entertaining. 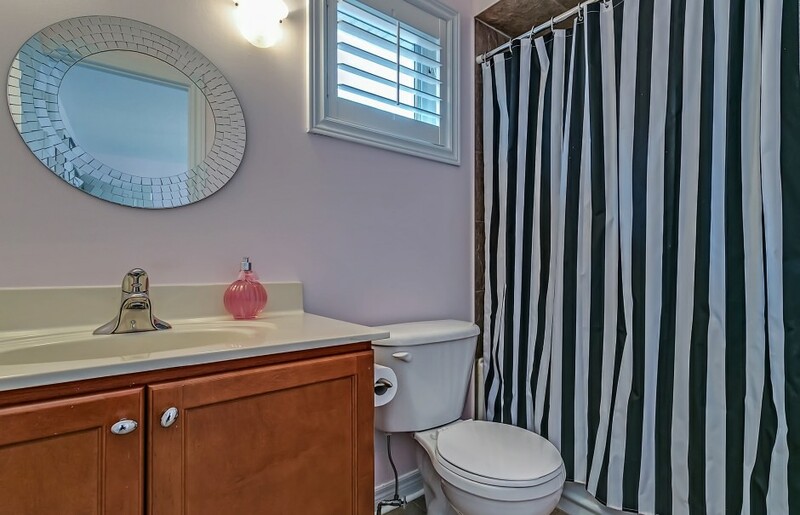 Nothing to do but move in and enjoy this beautifully maintained home.